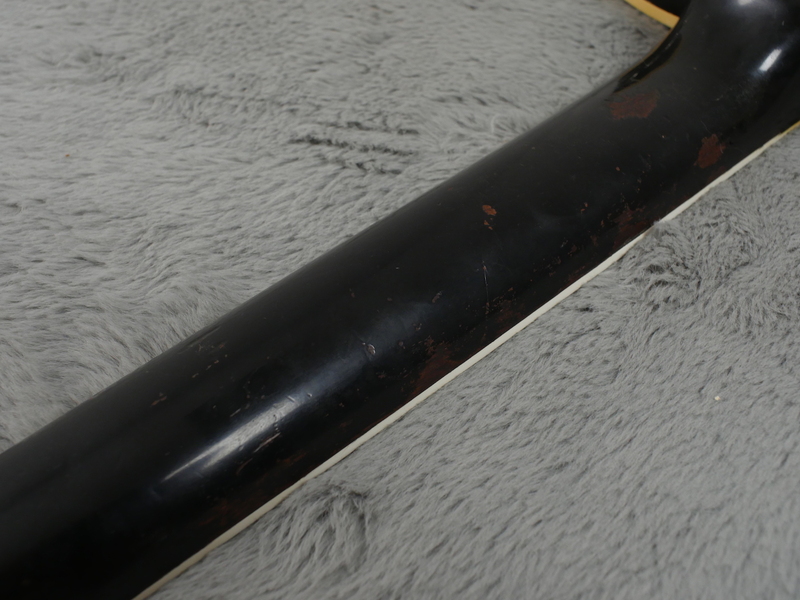 It has had a headstock repair which is nearly invisible due to that area being resprayed by the repairer a fair while ago. 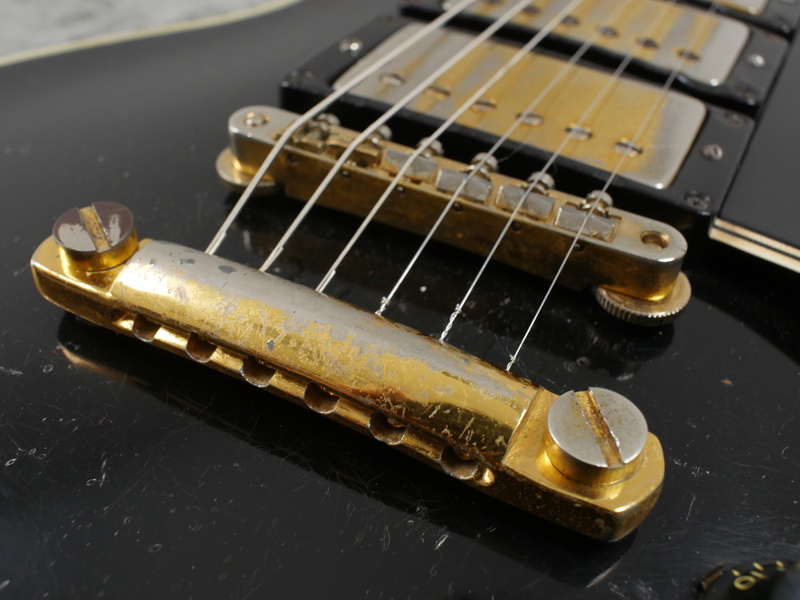 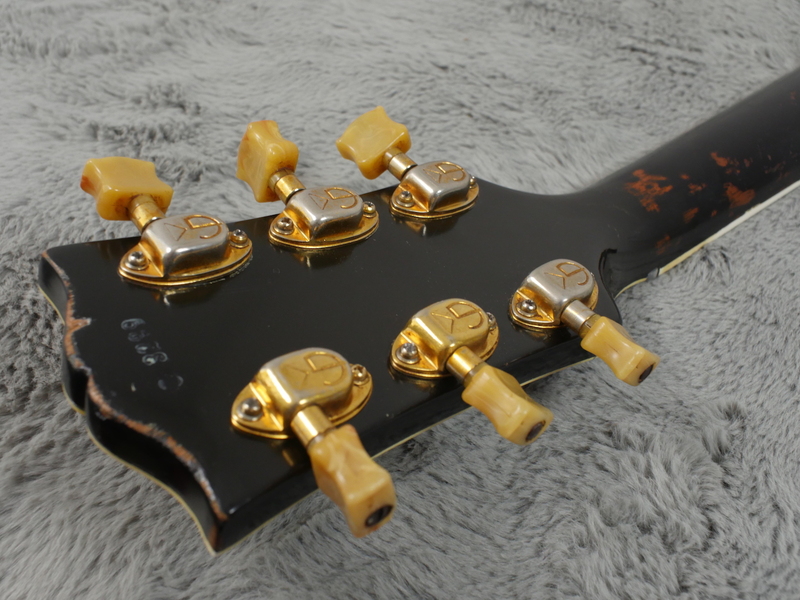 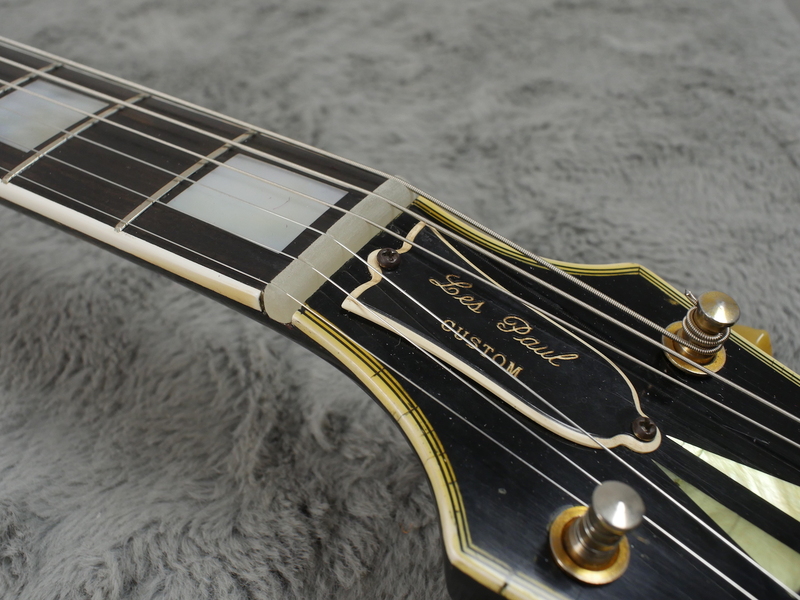 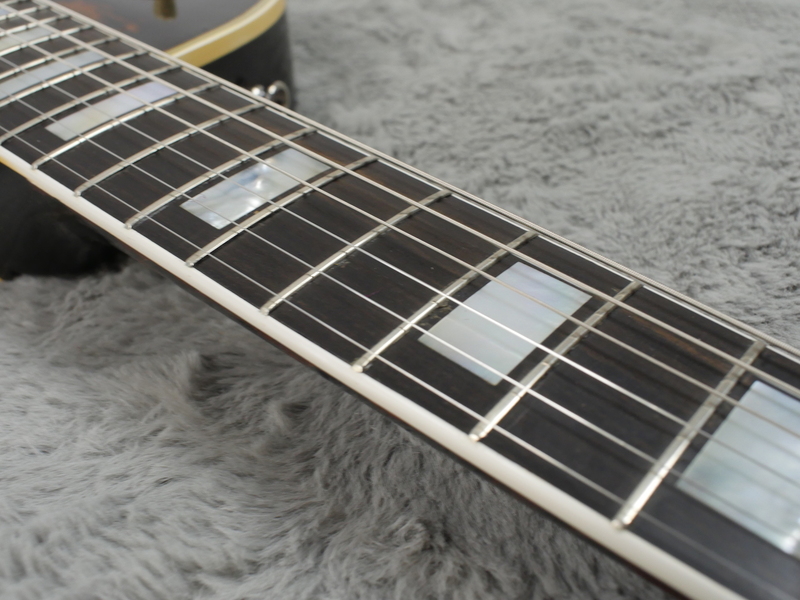 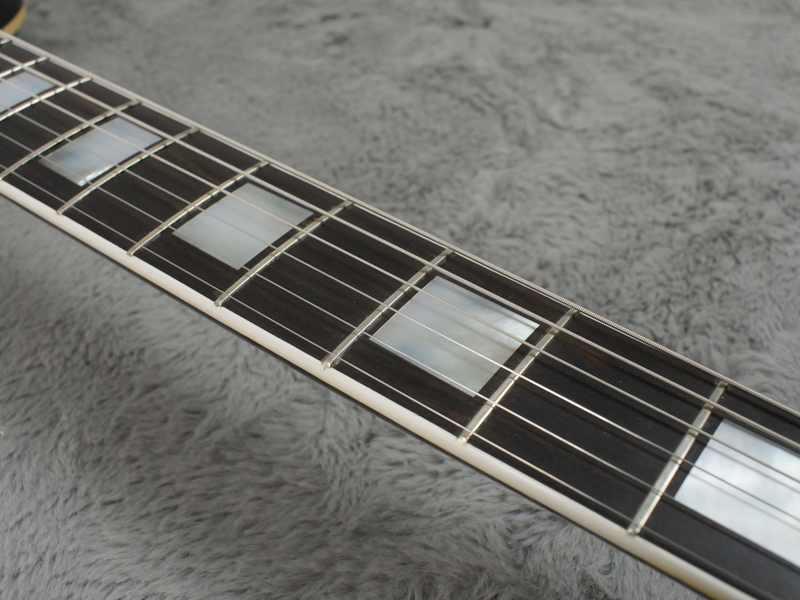 It has also had a refret and a new nut which although does not appear to be totally parallel with the first fret it works, it intonates well and there is no evidence that this is not how it came from the factory. 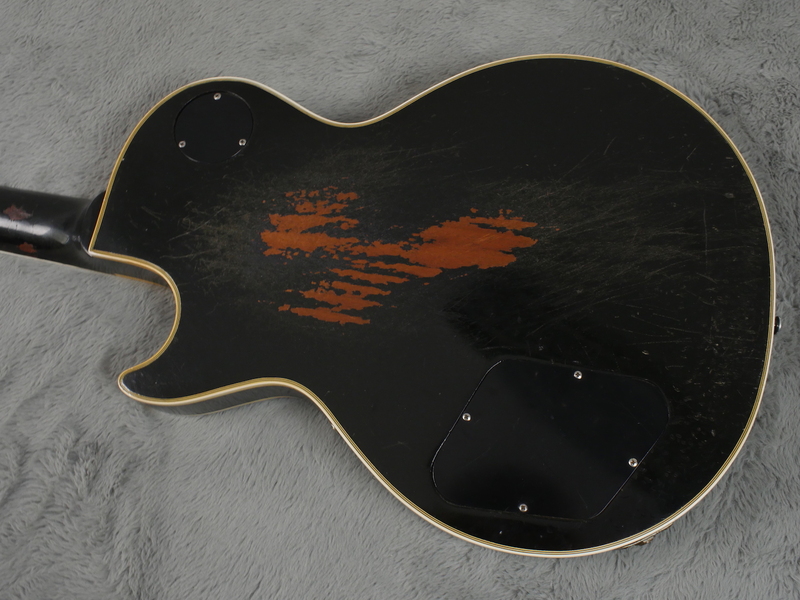 In addition to this, it loos like the wiring from the switch to the jack socket has been replaced with period correct wire and there has been some small, local touch ups on the front just above the fingerboard and a few places on the back of the neck. 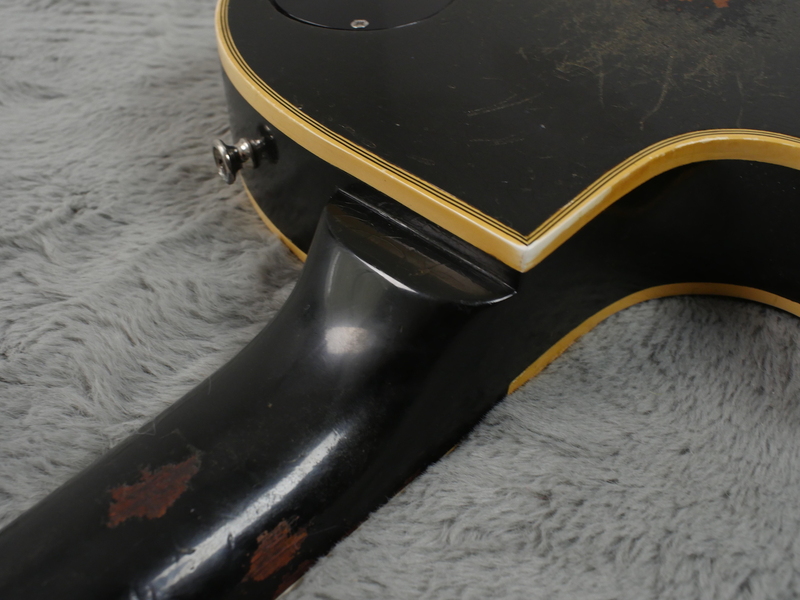 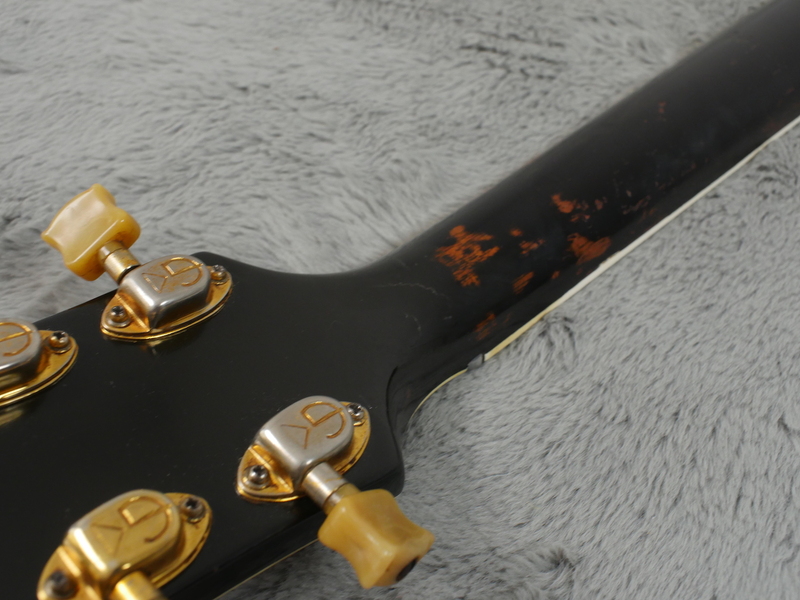 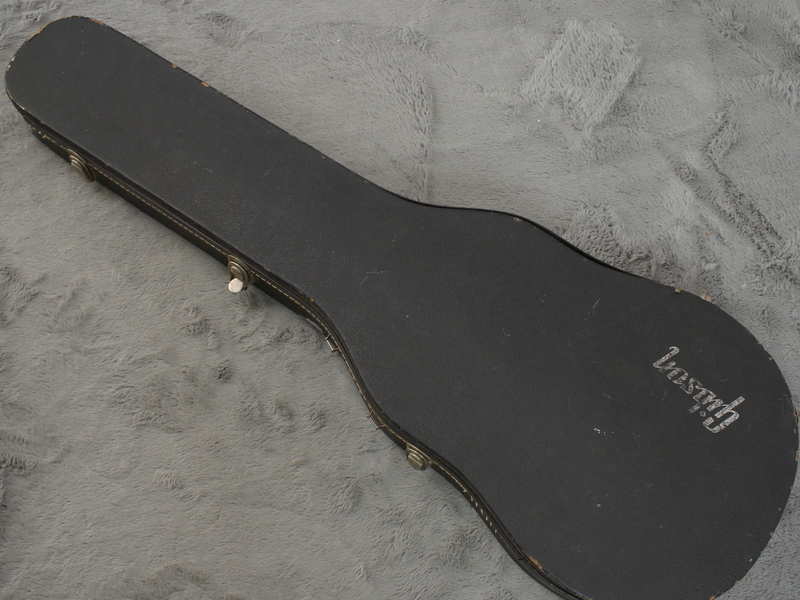 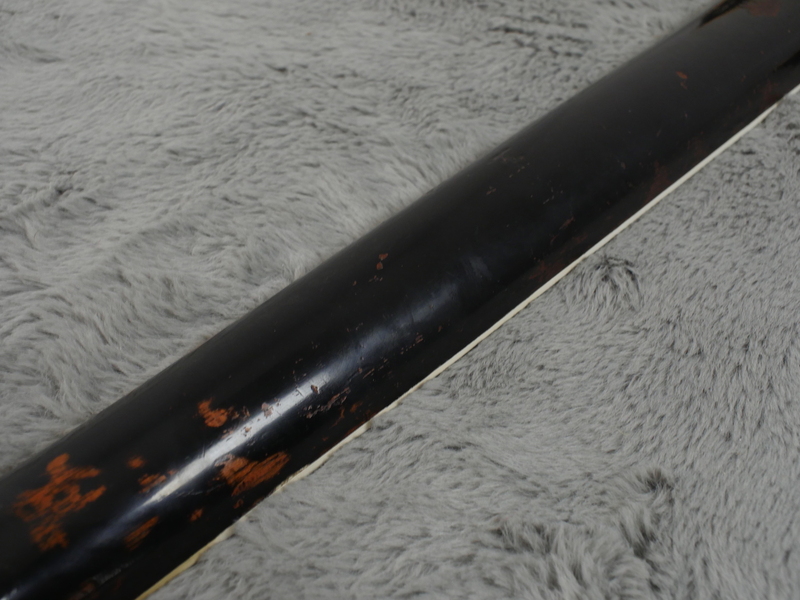 As can also be seen from the photos, there is some wear on the back of the guitar which has got through to the finish. 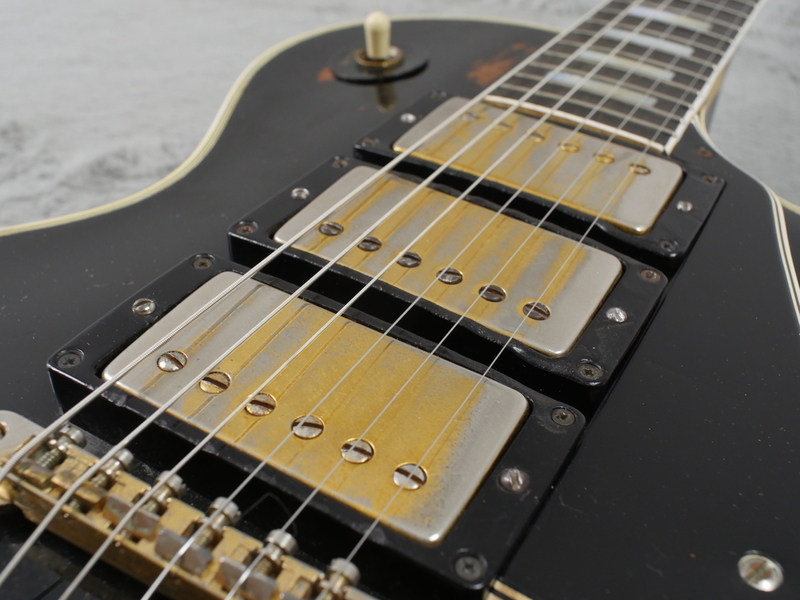 Pickups, pots, caps and all hardware are correct. 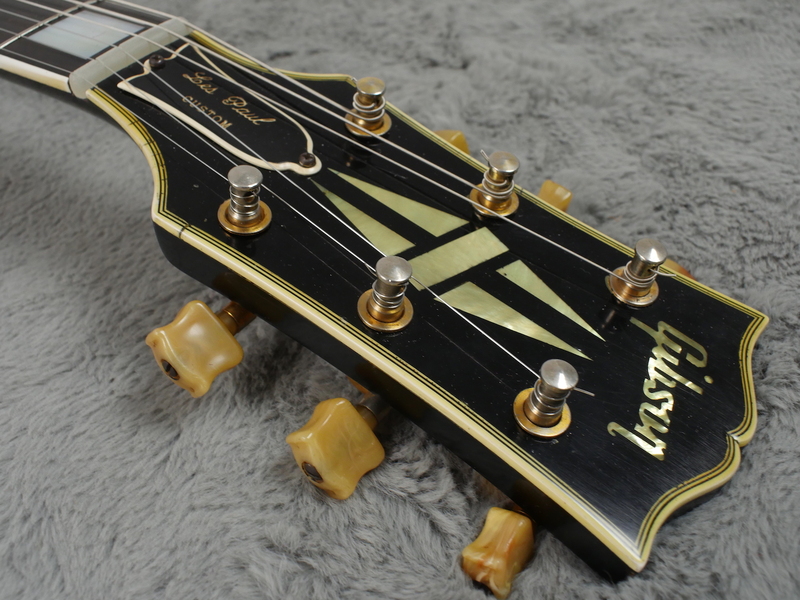 The switch tip is from the 60’s and the case is from the very early 70’s. 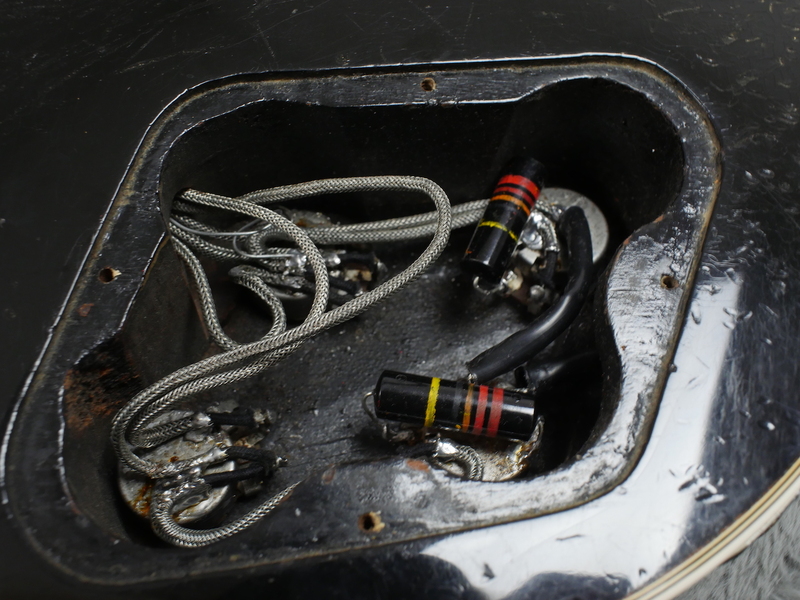 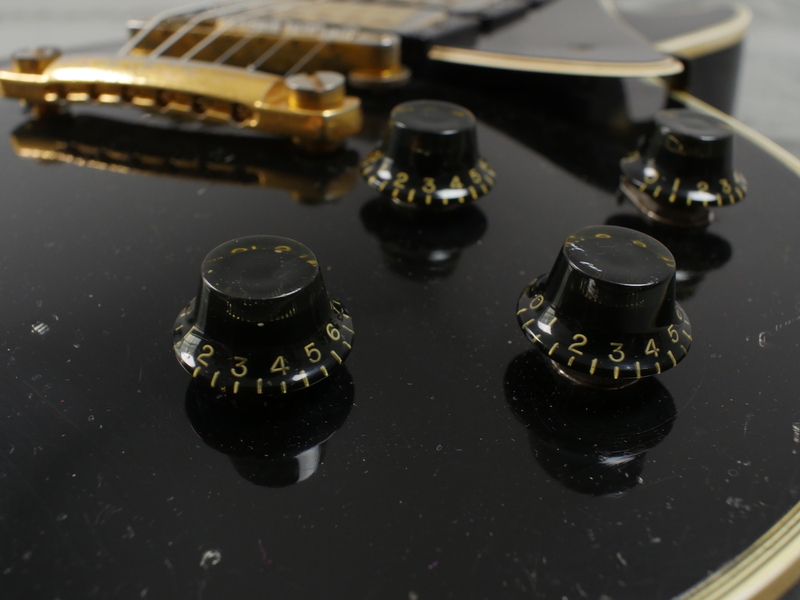 Yes, tuners are factory original too. 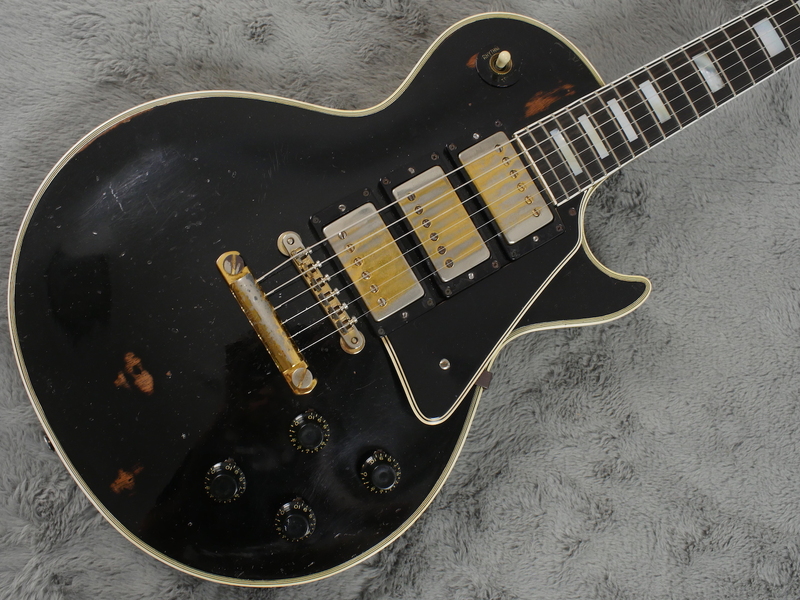 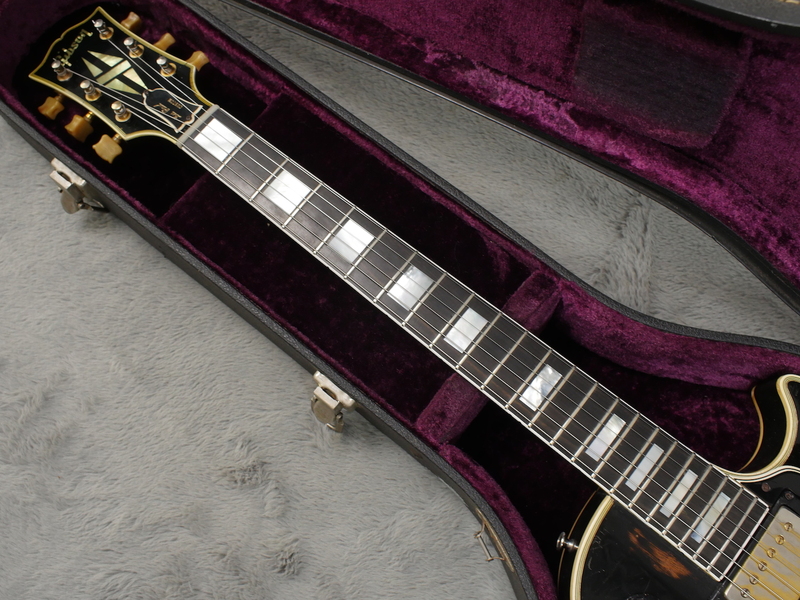 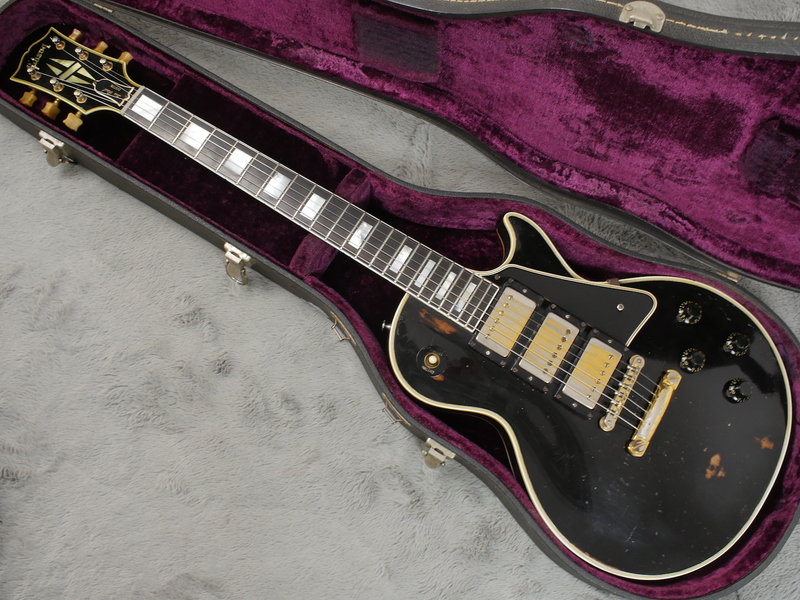 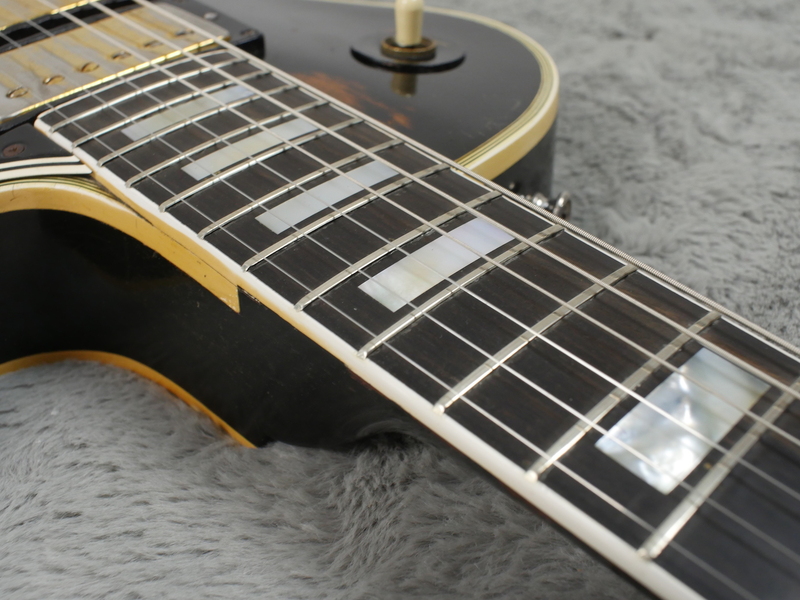 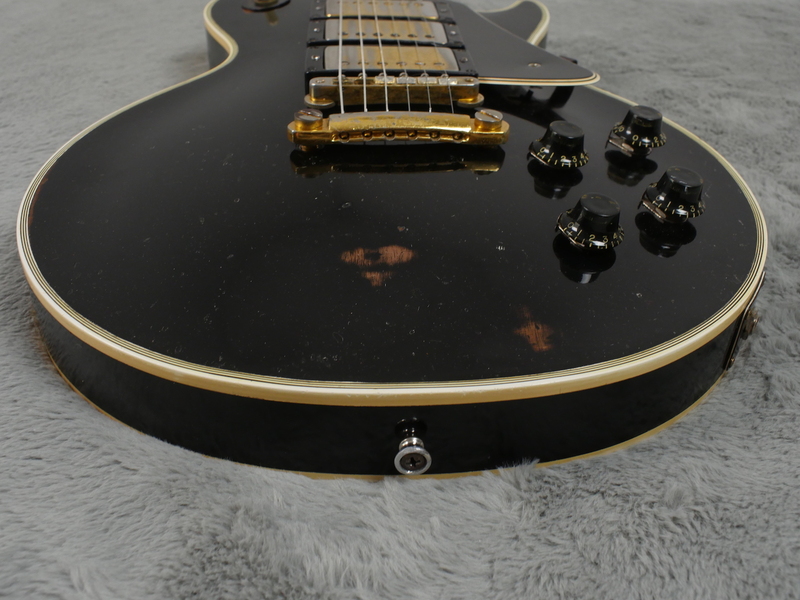 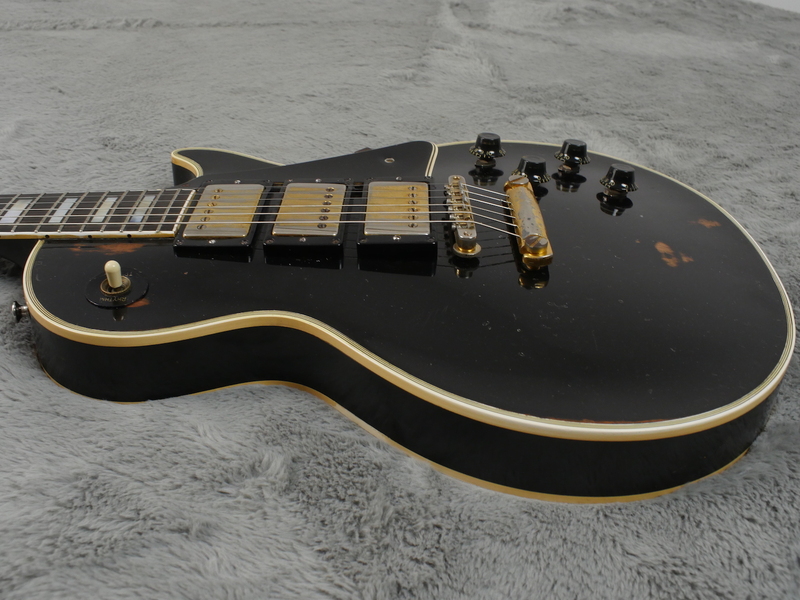 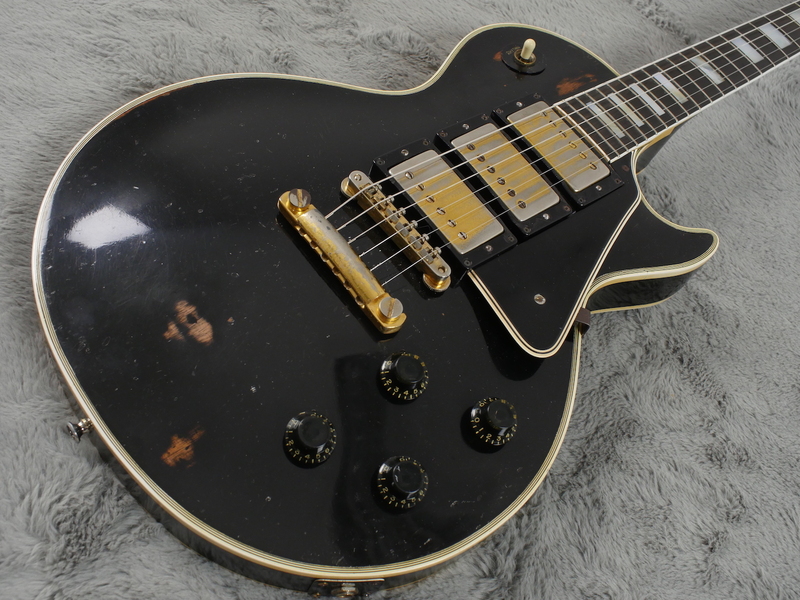 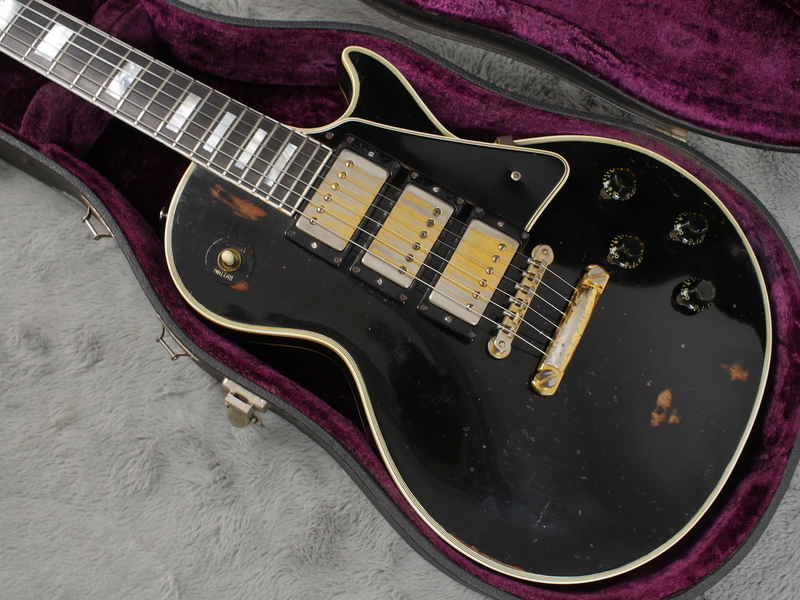 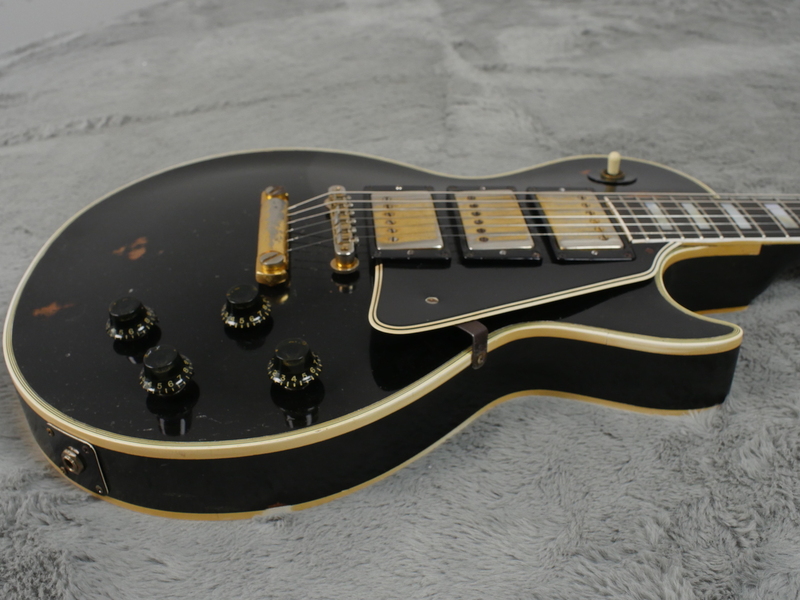 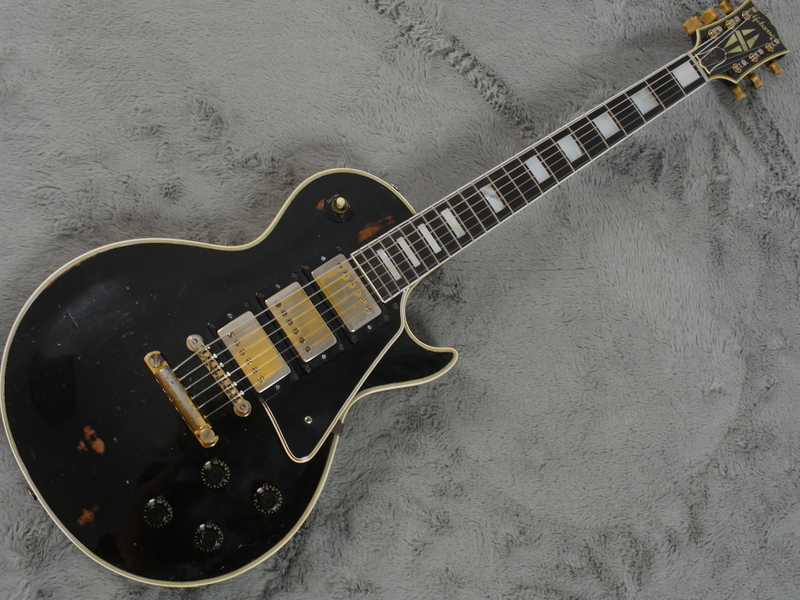 This is the second 1958 Gibson Les Paul Custom I have seen with these tuners fitted from new and my theory is during the change over between Kluson keystone and Grovers, Gibson may have had a bit of a supply issue so they ‘borrowed’ these tuners from the high end Epiphone range. 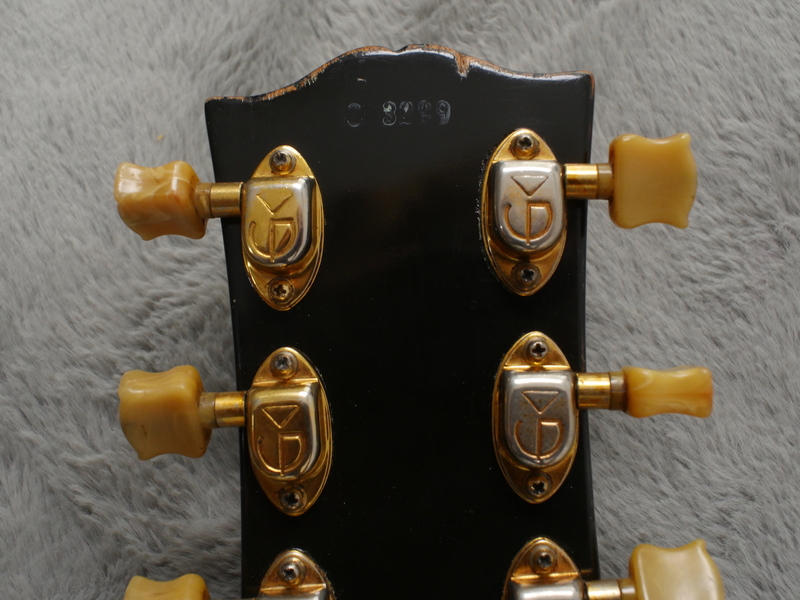 The interesting fact is they just had to engrave one small line on the back of the tuners to turn the ‘e’ into a ‘G’ which is exactly what they did before plating them! 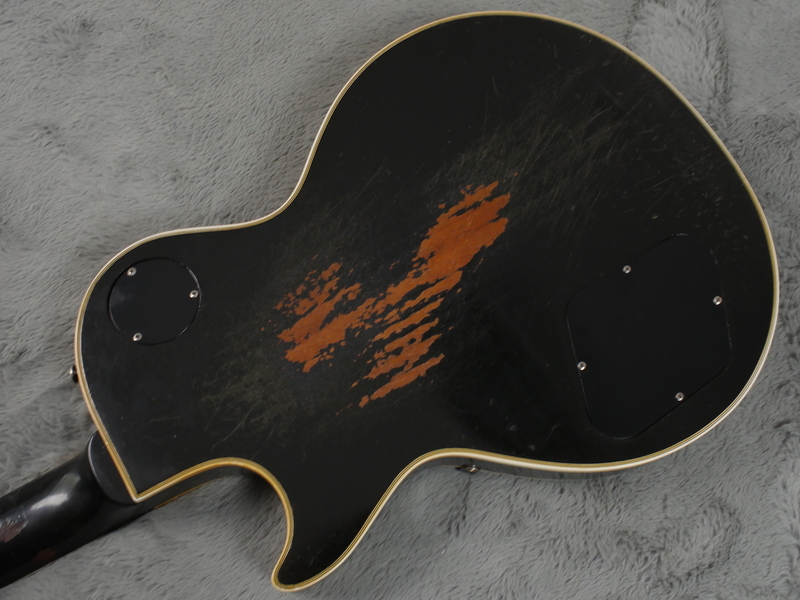 Plays well, no issues there. 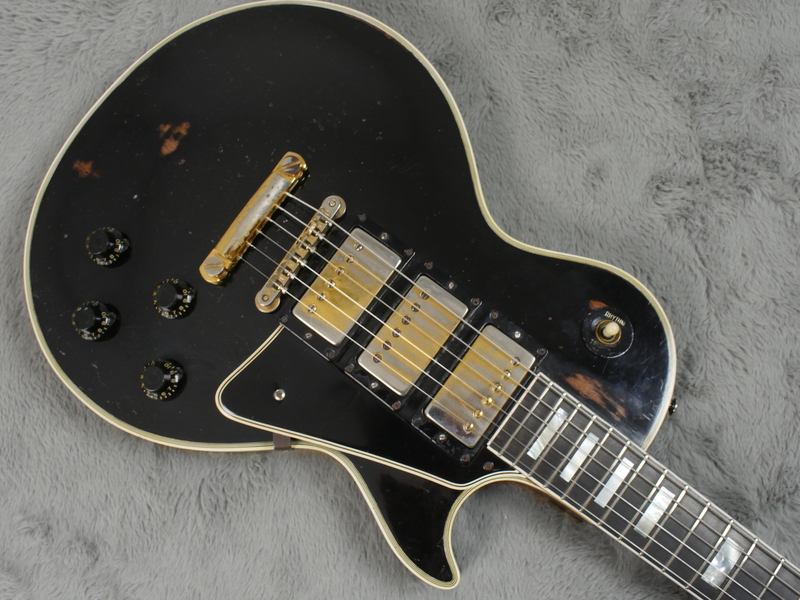 Sounds marvellous as you would expect and for the price we are asking it is one hell of a guitar - a PAF loaded 1958 Les Paul for under £25k..!